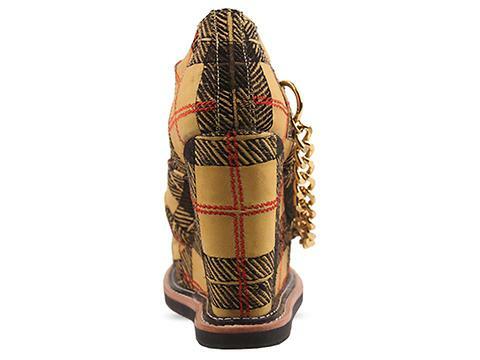 Today's So Shoe Me is the Tartan Wedge Shoe by K.T.Z., $725, available at Solestruck. 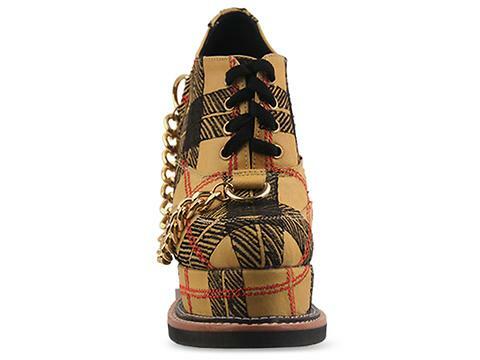 Signature tartan and tough chains makes for a statement making heel that's ready to stomp around town. Heavy metal details and an oversized tartan plaid add a grunge inspired design that will pair with uptown separates and street style basics. 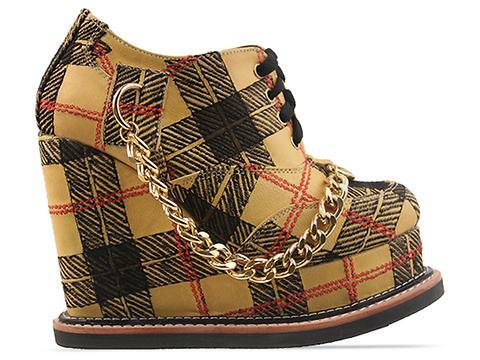 The plaid + gold details offers a vintage English punk feel and the chunky platform and wedge offers all day comfort. Pair these wedges with a hi-lo hem tuxedo style dress, complimentary plaid jacket and some graphic gold hoops. So Shoe Me a pair of punky tartan wedges that will add a punch of print to my everyday winter basics.